If you are looking for one of the best handsets on the market, then the Huawei P30 could be the answer. Coming packed with some of the latest technology, it looks stunning and is going to be flying off the shelves. Huawei hit the ground running and went from relative unknowns to one of the biggest handset manufacturers in the world in a short space of time. 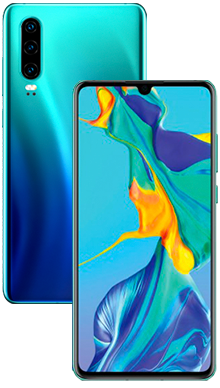 They now release handsets to a massive following that cannot wait to get their mitts on the latest offerings and the Huawei P30 is spectacular, so we know it is going to fly as the new flagship handset. Looks wise this is a glorious handset that is totally eye-catching and boasts some of their best design work. 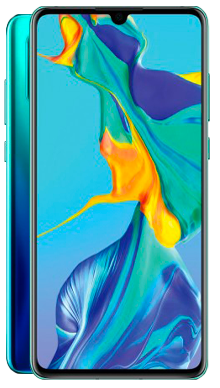 It has an infinity screen, and it really is all screen here, nothing is wasted, and even the front camera is neat and unobtrusive in a design dubbed a water drop cut out. As soon as you pick up the handset, you can feel the quality and style in the weight and finish of the phone. It is all glass with just a bit of aluminium, and it really is the business. Of course, as you would expect for a phone of this calibre, there is Corning Gorilla Glass, and it comes with an IP68 rating for waterproof and dust proofing to make sure that this is one tough cookie that can withstand the trials of daily life. In terms of size, this is a midsize headset that is 6.1 inches which is not the biggest on the market but a perfect size for those users who like the larger screen because they want to use it to watch movies or play some of the latest mobile games. It works well in one hand and has the expected OLED screen which has an aspect ratio of 9.5:9 with 422 PPI, and 1080 x 2340 pixels with a whopping 16M colours giving you the perfect performance. On the back of the handset, you will find that the camera arrangement has changed again from the Quad arrangement seen on the Mate 20 series. This time there is a neat vertical stack of lenses, three to be exact, and underneath that the LED flash which looks pretty perfect. 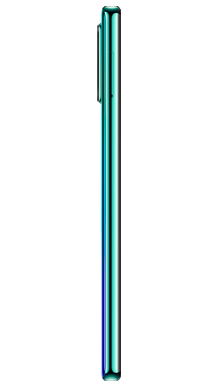 The back of the phone has a gradient fill colour which can be either blue, black or pink depending on which you prefer. To be honest, Huawei never gets audio wrong on their handsets, and this is another perfect offering. The speaker is powerful, clear and crisp whether you are looking to stream music, watch television or make calls on the hands free option. If you are looking for the standard 3.5mm headphone jack, then you are in luck as they have chosen to include it on this model so you can keep using your favourite wired headphones and enjoy the performance from then with this phone. On the front of the Huawei P30, there is a single front facing camera which has a nice 32MP lens giving the best selfie shots time after time. On the back, you will find three Leica lenses, which are often found on the high-level Huawei handsets and are stunning professional level lenses from one of the best camera makers in the world. The three lenses combine seamlessly to help you stage the perfect images time after time. In terms of spec you have a 40 MP, f/1.8, 27mm (wide), 1/1.7", PDAF/Laser AF, the second lens a 16 MP, f/2.2, 16mm (ultrawide), 1/2.7", PDAF/Laser AF and the final smallest lens is an 8 MP, f/2.4, 80mm (telephoto), 1/4", 5x optical zoom, PDAF/Laser AF. Huawei fans could probably take a guess at what you will find under the hood and be pretty spot on, as Huawei like all manufacturers has their favoured arrangements. In the P30 they have opted for the HiSilicon Kirin 980 chipset and Octa-core (2x2.6 GHz Cortex-A76 & 2x1.92 GHz Cortex-A76 & 4x1.8 GHz Cortex-A55) CUP and Mali-G76 MP10 GPU giving this handset the power it needs to shine. The handset arrives running Android 9.0 Pie with an EMUI9 for the best in user experience to get you started. In terms of storage, you have 128GB built into the handset which is then expandable if the need occurs thanks to the microSD card slot which can add up to 256GB extra. The handset comes with wireless charging but not a wireless charger. There is a cable which offers fast charge, so you have plenty of options to play with. In terms of battery, you have a whopping 3650mAh which is plenty of power for busy lives and will see you safely back to a charger at night when you are finished. 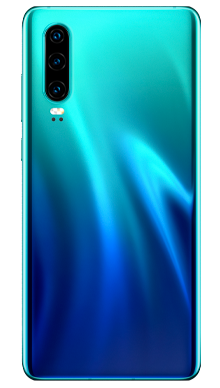 If you want to have one of the best and latest handsets you are going to love the Huawei P30 as it is packed with many great features and looks really premium to boot. 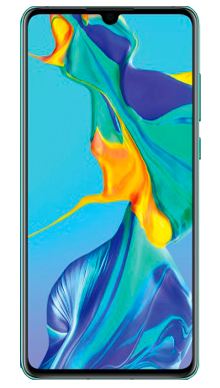 Our ethos at Metrofone is all about offering our customers the best of everything, so we strive to have the most significant range of handsets at all times. Once you have chosen the perfect handset, you can then pair this with one of numerous pay monthly deals to make sure that you can create the ideal combination for you. We only work with EE because we know that they have the best network coverage out of all the providers and this gives you the best access to make calls or use apps no matter where you might be. They are also one of the best for overseas coverage and network extras so you will be well looked after. If you have any questions about the Huawei P30 or want to find out more about any of our pay monthly deals, then don’t hesitate to contact our awesome customer service team on 0333 900 1144 today.